A device you wear is vastly different from one you keep on a desk or carry in your pocket. It is more than a tool. It is a true expression of your personal taste. 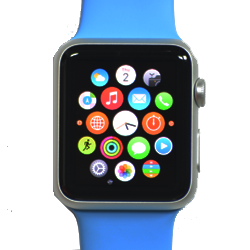 So we designed Apple Watch to reflect a wide range of styles and preferences. Because we want you to love wearing it as much as you love using it.